Ministering to the People of the World | Freedom's Hope Ministry, Inc.
God has enabled this ministry to be a part of many other projects and indigenous missionary support in various parts of the world, such as Bangladesh, Pakistan, Mongolia, Ghana, Senegal, Cameroon, Liberia, Tanzania, Indonesia, Sierra Leone, South Africa and Kenya just to name a few. For some we have been able to provide ministry motorbikes or help with the provision by paying a portion of the cost. 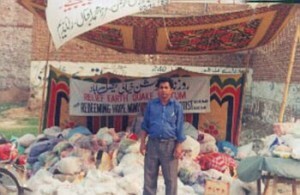 In other places we have been able to provide much needed funds for a specific need like disaster relief or orphan care. 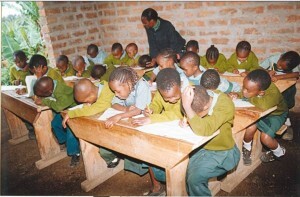 In November 2011 we set out to establish remote village teachers project. The Lord has truly blessed these projects. We receive monthly reports of the teacher’s progress and the wonderful impact it is having on the entire villages. Since the start of this wonderful ministry, not only have the teachers been instrumental in transforming the young lives for Christ, but also their parents, other family members, and even entire communities. To date, there has been over four hundred that has received Jesus as their Lord and Savior; twenty-six new churches planted; six home churches; and dozens of church leaders trained for the ministry–all this in the past four years. God is truly doing an awesome work. Some of these locations are in highly restrictive areas. (Due to the sensitivity of these specific reports and pictures, we cannot post them online. Those who are supporting a specific project receive updates and pictures on the project they support). The children are excelling in their studies–which include academics and Bible courses–and are learning how to draw closer to Jesus more and more. The adults are being taught the Gospel message as well, and many are coming to know the Lord Jesus and giving their hearts to Him. We praise God for this incredible ministry. If you are interested in sponsoring a teacher for a remote village–we have many to which need assistance– please see our “donations” page. We are exceedingly grateful to God and our contributors. Words cannot adequately express how appreciative we truly are for making it possible to get these gifts of love into the hands of those in need through the hands and feet of the indigenous ministers God has given us to work with– His laborers in His harvest field. We are so blessed and honored to be used by our Father in this way. We could never do what has been done this year, or in previous years without our most generous and loving supporters, acting on what God put on your heart. We believe God will continue to bless and use us as we strive daily to be careful stewards of all He provides. We currently have several indigenous ministers we support in various geographic areas around the world. 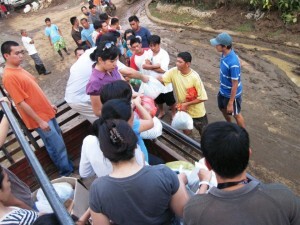 We have many more that desperately need our assistance for transportation cost, Bibles, food, and lodging. 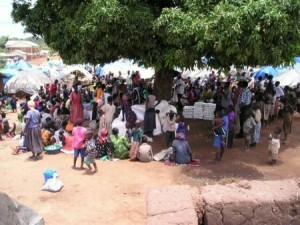 Some even need our help for the support of their families, education for their children, and other helps. From $100- $300 a month will provide food, house rent, and other needs for a pastor and his family. Only 5 people giving $30 a month can provide for one family. Any amount to assist a pastor to transport him to the mission field would be much appreciated. As with all of our projects, every dollar, 100% is expedited to the need specified. We do not retain one cent for administration cost, since all of our staff are volunteer workers. All additional cost (i. e. postage, sending fees, internet service, phone calls, etc.) are paid for by us (volunteer workers) or a small amount from the unspecified funds we receive. Ministry Overseer Rupert, working with Operation Blessing to distribute needed supplies in Cagayan de Oro City, Philippines. 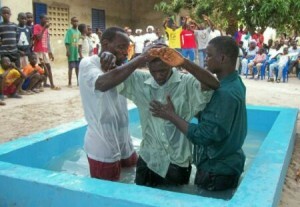 Pastor in Pakistan baptizing a new convert. Providing Nepalese Bibles, distributed by indigenous ministers. Gracious school in Tanzania where Tuma and Maggie teach many muslim children about Jesus in exchange for a free education.